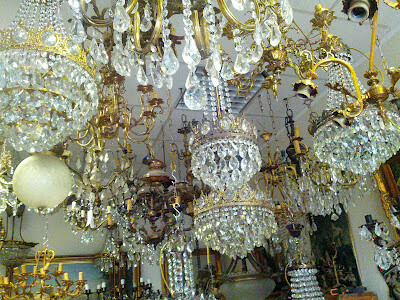 i have a turn of the (last) century chandelier in my home. it's the best! 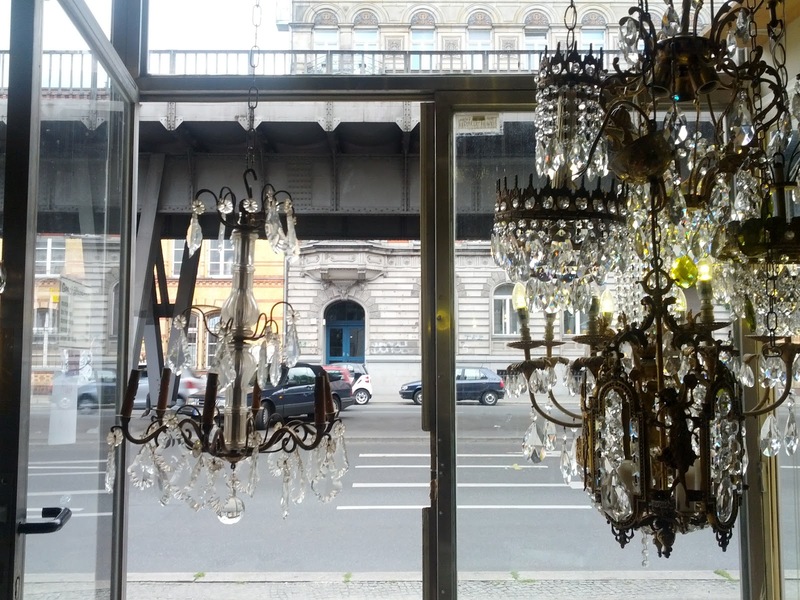 mother lugged it over from france and i've been looking for a place in berlin that would fix it up. i recall biking by this place in kreuzberg, across from the u-bahn tracks. it is just unbelievable. haven't seen so many chandeliers since Versailles. they all had price tags on them, like, 5,000€ and stuff. the young friendly turkish guy hung mine in the doorway. the crystals rattled everytime the U5 came along. he estimated the age and then pointed to a very similar one, Frankreich, ja? he said he would replace the missing crystals, clean it, put a new wire inside and give me a chain and a cup for the ceiling so it would look nice. it felt so fancy. less so when he said he would do it for 50€.